Putin speaking at a Feb. 9 meeting of the All-Russian Parents Resistance. A bill redefining the conditions under which children can be seized from so-called "socially vulnerable families" has provoked fear among critics that more minors could be taken into state care due to petty infractions. Amid a renewed push by authorities to decrease the number of children in state care, 84 percent of whose parents are still alive, the bill's opponents are concerned that it could have the opposite effect. Critics also say it follows a Western model that they say allows the government to overstep its rightful authority, and that it could breed corruption at social services agencies, whose funding depends on the number of children in their care. President Vladimir Putin, who has increasingly sought to limit foreign, and especially Western influence in the country, gave a surprise speech last week at a meeting of a conservative parents' group in which he gave reassurances that the bill would not be abused. "Concern for the elderly and for children was always the top priority [for Russian families]," Putin said at the Feb. 9 meeting. "It is these traditions in particular that we need to revive. And, conversely, we must avoid blind imitation of foreign experience." "The so-called legal procedures must be perfected. This includes strictly, exhaustively listing the signs of a family's major problems, when the authorities must and can interfere and provide targeted assistance," he said. The bill was drafted last year by the government in line with the Kremlin's national strategy on children's issues to 2017, which was signed by Putin in June. The strategy lists "reinforcing preventive measures to protect the rights and interests of children in socially vulnerable conditions" as one of the government's tasks. Some of the bill's opponents say its language is vague, creating the potential for misuse. As an example, some cite the draft law's addition to the definition of a "socially vulnerable family" as one in which parents create conditions that obstruct the "normal upbringing and development" of their children. No law currently specifies the meaning of "normal upbringing and development," leaving it to the discretion of social workers. Current legislation defines problem families as those in which the parents "fail to fulfill their duties of upbringing, education or support of children," "negatively influence [their] behavior," or "treat them cruelly." The proposed bill would also allow social workers to decide what measures to take with the families they work with, measures it calls "social patronage," and grants them more freedom to decide which families and children to assist. Alexei Golovan, a former children's ombudsman and current head of a charity that helps children deprived of parental care, said he supported the bill because "it's better to prevent a problem than to treat it." "Opponents of social patronage say it is interference in the family. But how can we treat a family without interfering with it?" Golovan told The Moscow Times. Under the new bill, social workers who examine families will be able to issue orders for allowances to be paid to poor families, for helping unemployed parents to find jobs, and for the provision of psychological and other assistance, while currently they can only register violations of children's rights, Golovan said. The bill would also help decrease the number of children in children's homes, he said. Current children's ombudsman Pavel Astakhov said earlier this month that an estimated 84 percent of the roughly 120,000 children living in orphanages are so-called "social orphans," meaning that their parents are alive but have been stripped of their parental rights. The problem of Russia's stubbornly high orphan population has taken the spotlight after the passage late last year of a ban on U.S. adoptions of Russian children. Critics of the ban say there are not enough Russian families willing to adopt Russian orphans, while supporters say that the orphans are better off living in Russia and that new measures to encourage adoption need to be developed. General skepticism of foreign influence and Western practices is part of what motives opposition to the proposed bill by the All-Russian Parents' Resistance, the parents' group that Putin addressed on Feb. 9. "The problem is the liberal concept that dominates Cabinet circles — they are oriented toward the West, where insane things are happening," said the group's founder, Sergei Kurginyan, a political thinker who has warned against allegedly Western-backed revolutionary efforts in Russia, in an interview with Izvestia last week. "They take crying children away from good families," Kurginyan said. "We plan to secure the legal defense of mothers whose children are taken away." In September, Kurginyan submitted a letter to the Kremlin signed by more than 141,000 Russians expressing opposition to the bill. The Russian Orthodox Church, a powerful lobby group with close ties to Putin, has expressed reservations about the law as well. Senior church official Vsevolod Chaplin spoke to the parents' group at the Feb. 9 meeting, calling on authorities to spell out in the law "in detail, with all the force of legal guarantees, the right of parents to bring up children, define their views on life, their lifestyle, their moral image … [and] what is good or bad." Albert Likhanov, head of the nongovernmental Russian Children's Fund, said parents must be "brought to a condition" in which they can take care of their children and said allowances to families with children had to be raised. Like Kurginyan, Likhanov expressed concern that social workers would seize children for infractions, including certain kinds of punishment that are traditional for some Russian families. "In rural families, they might box [a child's] ear. That is not a big deal," he said. Other opponents of the bill agree that it would allow undue meddling in a family's affairs, or "infringe on the inviolability of the family," as Pavel Parfentyev, head of the St. Petersburg branch of the Family Policy think tank, put it. The Family Code, a set of legal rights and duties of married couples toward each other and their children, establishes "the inadmissibility of arbitrary interference in family affairs," while the Constitution guarantees the rights of personal privacy and family confidentiality. Parfentyev also pointed to the potential for corruption as a result of the bill, saying officials and organizations could profit from its provisions. Authorities spend an average of 600,000 rubles ($19,900) per year on every child in a children's home in Russia, children's ombudsman Astakhov said in an interview last year. "Supporters of the bill are either regional officials or nonprofit organizations that are already involved in similar activities," Parfentyev said, referring to social patronage. "We are calling it the vicious circle of financial interest." "It is understandable that children's homes are keen to have children," he said. Parfentyev argued that poverty is the main reason for family problems, saying that if a similar amount of money was provided to a family with children, that family would "stop being in need." Golovan, the former children's ombudsman, conceded that the bill opened the door to abuse by officials but dismissed this concern as insignificant, saying "anyone can abuse their powers" in Russia. He also said that over many years of dealing with social patronage, he had encountered "almost no cases" of illegal confiscation of children from a family. Having passed a first reading in September, the bill is currently awaiting a second reading in the State Duma tentatively set for July. 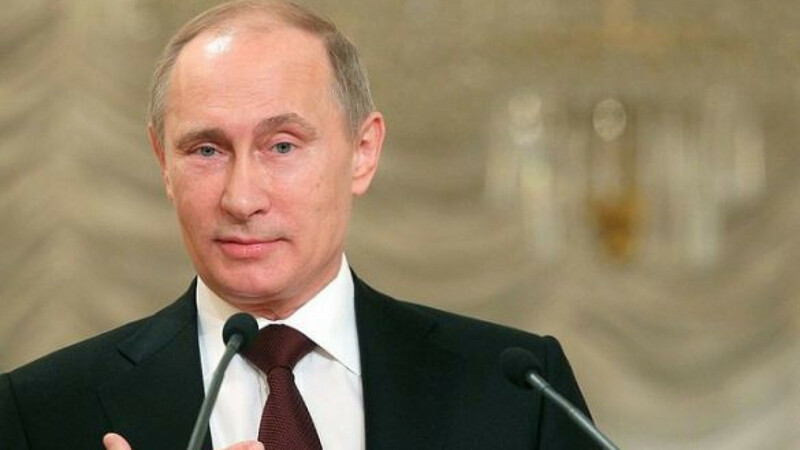 Late last year, Putin recommended that the Duma approve the bill "in priority order." At the Feb. 9 meeting with the parents' group, Putin defended the bill while sympathizing with the group's concerns, arguing for a balance of robust family values with a strong government that can step in for the benefit of a child. "Sometimes a situation demands extraordinary action on the part of the state," Putin said. "All the more so when not only the rights of a child need to be defended but the very life of a child. And I think you'll agree with me that such interference is truly necessary." The president said that ultimately, the goal of the government and society should be to attack the underlying problems that socially vulnerable families face. "It is much more important to eliminate the causes of social ills," he said. "Of course, this is long-term, systematic, much more difficult work."